Brockwell Park Community Partners has a stall at the Herne Hill Market this coming Sunday 22nd March 2015. 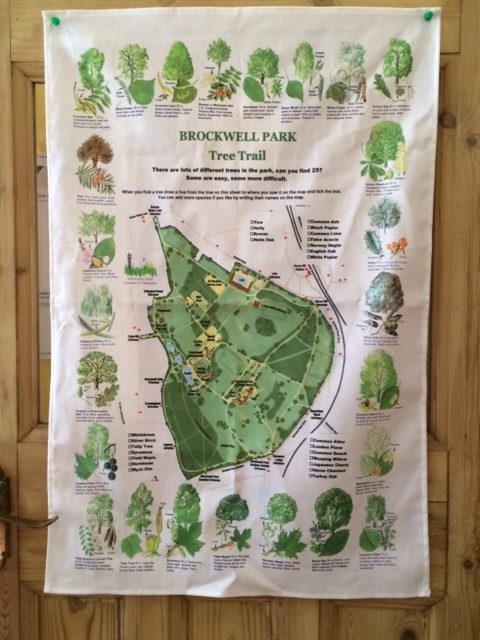 We shall have more of our lovely tree-towels (pictured), Brockwell Park Plum Jam, Wildflower Seeds and Cards. All proceeds go to a registered charity to support projects and events in the Park.